Geraldton-Greenough is the regional hub of Western Australia’s entire Mid West. Located about 450km north of the Capital, Perth, the city is perched near beautiful coastline to the west and rolling hills and breakaway ranges to the east. The Chapman and Greenough Rivers frame the city to the north and south. This superb positioning, combined with the friendly feel of a country town, makes for a truly memorable holiday experience. Perth – All the essential ingredients for a great holiday. Some of the country’s best beaches, plenty of nightlife, bustling markets, inner city parks, outdoor dining and amazing marine adventures. Western Australia’s capital of Perth sits beside the widest stretch of the meandering Swan River. Locals here enjoy a relaxed outdoors lifestyle, as does the neighbouring port city of Fremantle, at the mouth of the Swan. The line-up of water-based fun includes boating, fishing and all dialogues of surfing. Fremantle’s majestic historic architecture takes you back in time, while its marine heritage draws you to the ocean and a short ferry ride to Rottnest Island. The City of Three Waters Situated on a peninsula, Bunbury is an aquatic playground offering diverse lifestyle and recreational experiences. With an extensive array of attractions, entertainment, shopping, nightlife, dining and accommodation choices, Bunbury presents whatever type of getaway you are looking for. The Augusta region of South-West Western Australia is one of the most attractive holiday areas in Australia. This area has a spectacular coastline This region also has Australia’s most south-westerly point. A 4hr drive south of Perth will bring you in to the heart of Karri country, the home of the Karri tree ‘Eucalyptus diversicolor’, one of the largest trees found on the planet and today protected for the natural environment and future generations to appreciate. Albany Western Australia is a city of approximately 30,000 people in the south-west corner of Western Australia, approximately 409km from Perth . The city is nestled between three large hills, Mount Clarence, Mount Melville and Mount Adelaide, facing the beautiful King George III Sound. Esperance is a beautiful coastal town located 720 kilometres south east of Perth and about 4.5 hours from Albany. Esperance has the most stunning coastal scenery with squeaky white sand and turquoise water. There are 5 national parks around Esperance. The Cape Le Grand National Park is only 56kms from the town centre and this is where you can see kangaroos lazing on the beach. Further east is Cape Arid, which is also a popular park for camping, fishing and hiking. Eucla is the easternmost town in Western Australia, located in the Goldfields-Esperance region of Western Australia along the Eyre Highway, approximately 11 kilometres (7 mi) west of the South Australian border. Eucla has a population of about 50 people, and is the largest stopping point between Norseman and Ceduna for travellers and trucks along the Eyre Highway. It has a hotel and restaurant, a golf club (7km to the north), a museum dedicated to the Old Telegraph Station, and a meteorological station. These together with fishing are the town’s major activities. 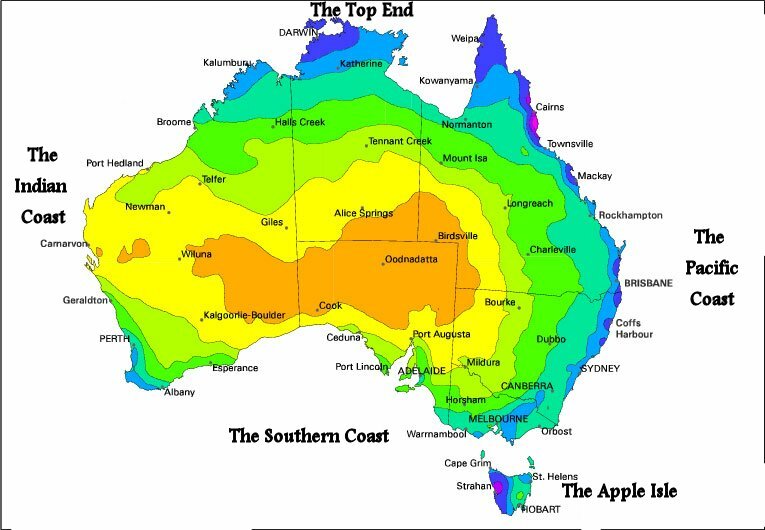 Eucla still uses the time zone of UTC+8:45 along with some other roadhouses on the Nullarbor Plain which is no longer official mandated by the Australian government.